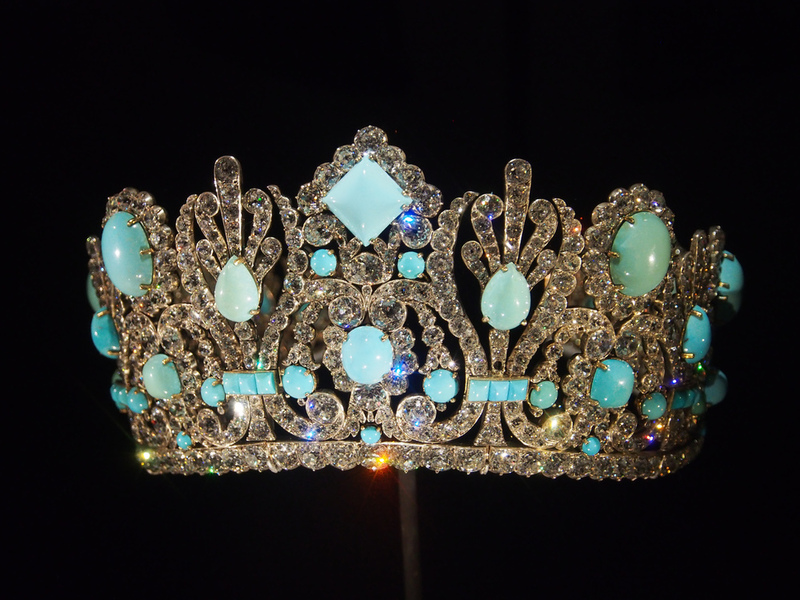 The Marie Louise Diadem is set with over 1000 diamonds and Persian Turquoise. Originally set with emeralds in place of the turquoise (before donation to the museum). One of the most exquisite diadems/crowns I have ever seen. Currently on display at the Museum of Natural History in Washington DC. Posted on May 1, 2013 by Vivien Chin and filed under fashion, art & architecture, etc- and tagged diadem crown gems.